Each Flying Carpet contains the seven Color Packs prefilled with twenty-eight appropriately sized Procedural Modules and one Broselow Measuring Tape. 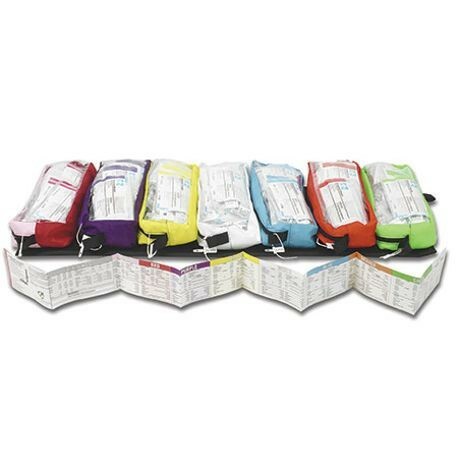 The seven Color Packs attach to the flying carpet with Velcro™. Laryngoscope handles are not included.